The following audit paper has been published in the prestigious Eye Journal online, which was written by our talented audit team and primarily Abigail Tye. 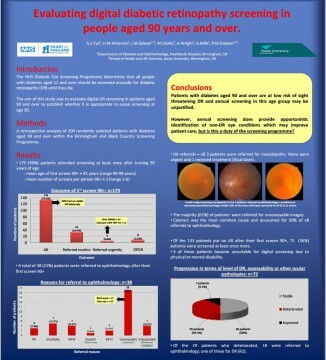 The paper examines the issue of screening more elderly patients, there is also a poster presentation of this in the Audit section of this website. Well done to Abigail and the audit team for your achievements!